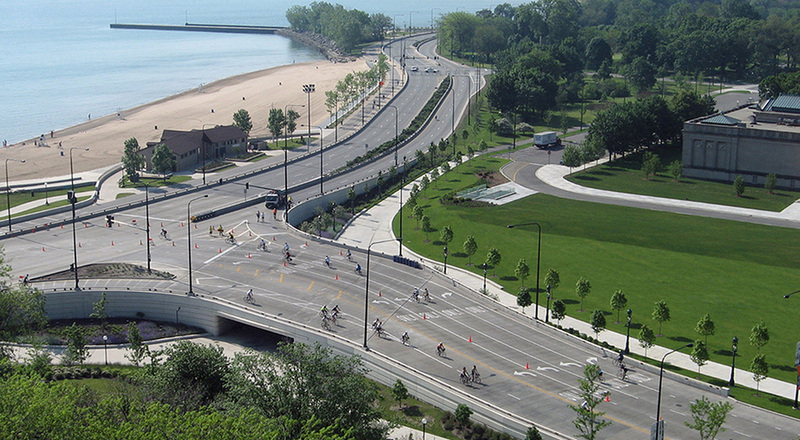 South Lake Shore Drive – 57th to 63rd St.
Terry Guen Design Associates (TGDA) provided design services for the award-winning reconstruction of South Lake Shore Drive. 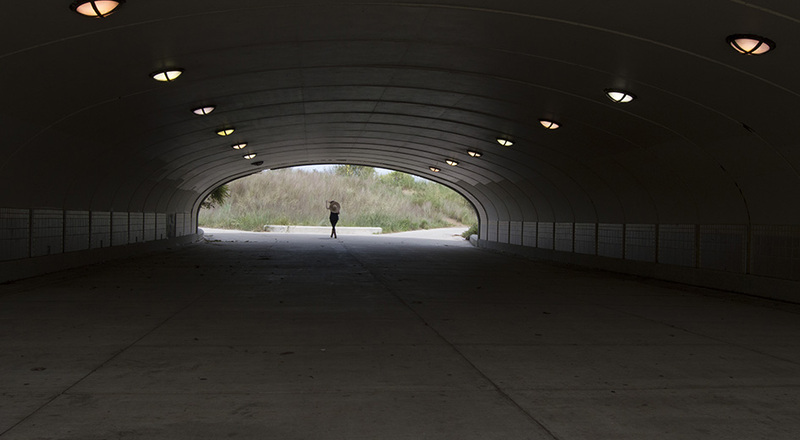 The project reconfigured the roadway corridor and infrastructure and added five new underpasses connecting Jackson Park to Lake Michigan under South Lake Shore Drive. This reconstruction encompassed 56th Street to 67th Street, including Jeffrey Drive and Coast Guard Drive south to 67th Street, Marquette Drive east to 67th Street, and Hayes Drive west to Stony Island Avenue. 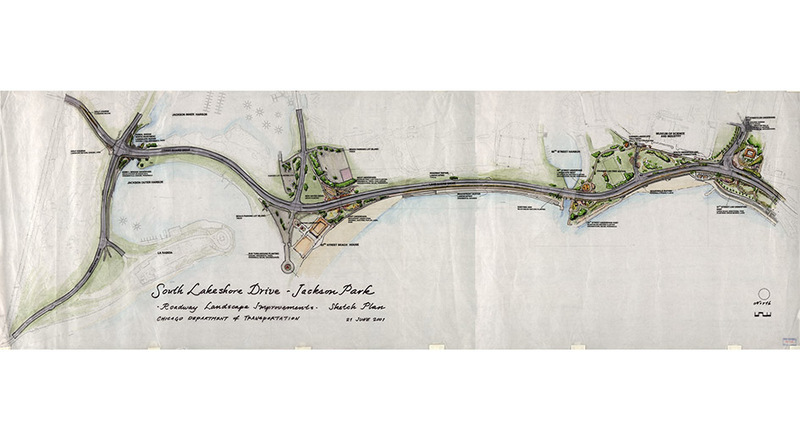 Prior to construction, TGDA’s work included landscape field verification and tagging of existing Jackson Park trees, park and tree protection documents for three phases of construction, Landscape Master Plan Design for five new underpasses, and public processes and approvals with the Jackson and Hyde Park communities. 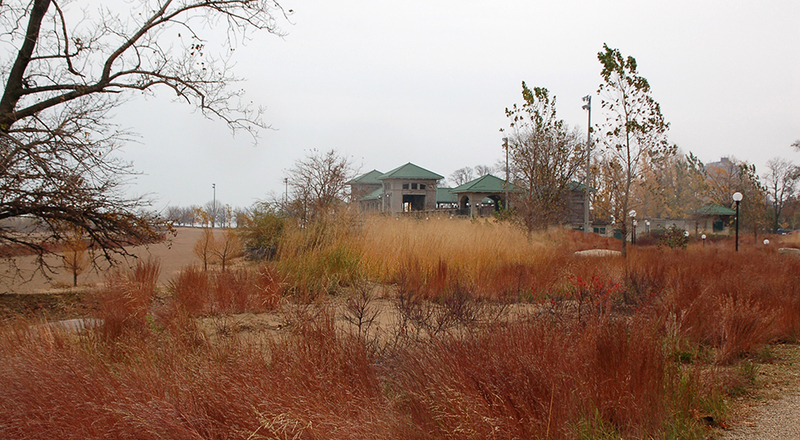 This project also required extensive coordination with the engineer, Chicago Park District, Chicago Dept. of Transportation, and the design team for the Burnham section. 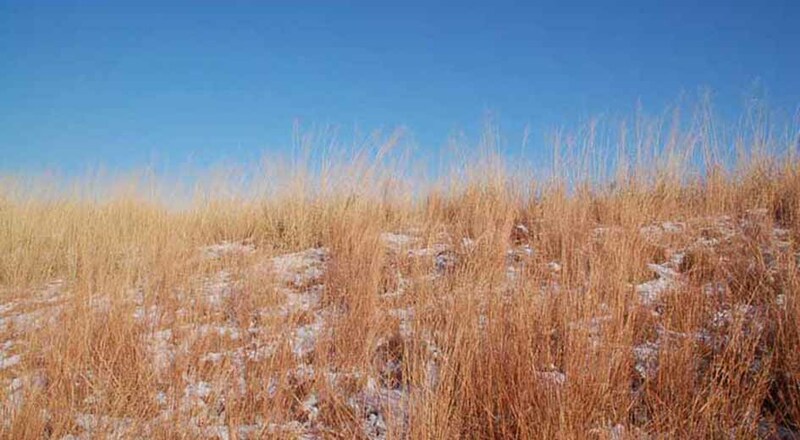 During the construction phase, TGDA conducted site review and installed new landscape plantings. 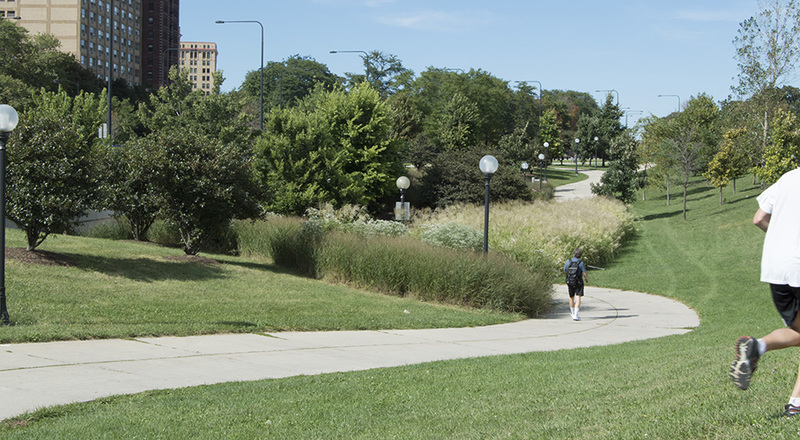 These coordinated plantings provide South Lake Shore Drive with a distinct identity and creates a more cohesive space for both drivers and pedestrians.